The launch of the Entertainer Malaysia 2015 which includes over 500 Buy 1 Free 1 offers for the best restaurants, nightspots, leisure, attractions, spas, beauty and fitness centres in Malaysia is finally here! The Entertainer Malaysia 2015 is so far the biggest and best which offers customers up to RM 200,000 in savings. The Entertainer Malaysia 2015 gives the users a variety of options to choose from fine dining, up market bars, casual dining, cafés, leisure, superior spas and health & fitness, . Featuring hundreds of Buy 1 Get 1 Free offers which include new merchants such as Mandarin Grill, La Scala, Opium, Healy Macs, Sunway Lagoon and Discovery Pilates. Hundreds of popular merchants are back for 2015, including Bijan, Brotzeit, TGI Fridays, Juice Works, Strip, Mandara Spa and many more. 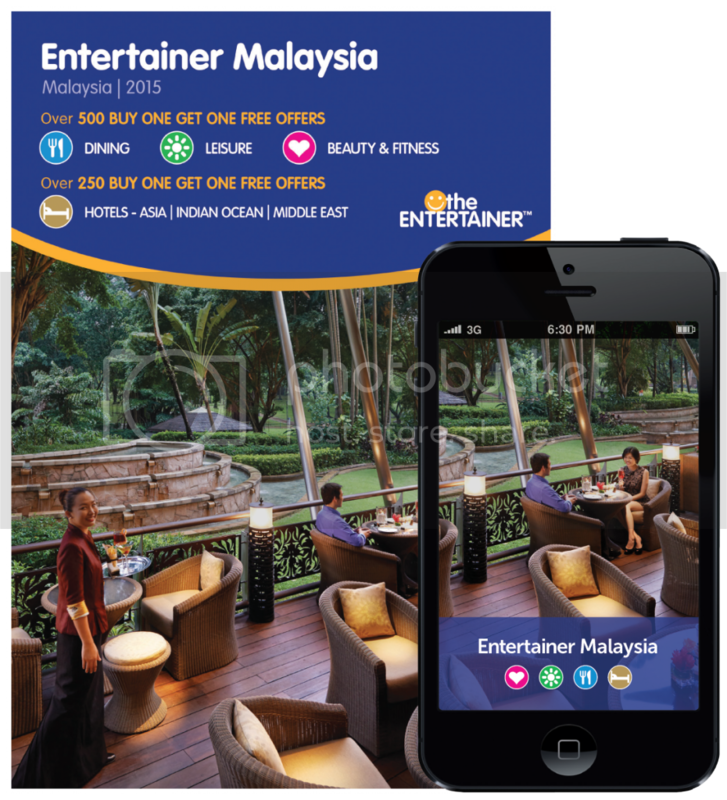 Every Entertainer Malaysia 2015 includes a complimentary copy of the Entertainer Travel 2015, which features over 250 ‘Buy One Room Night Get One Free’ offers at leading 4 and 5 star hotels across Asia, the Indian Ocean, the Middle East, Africa and Europe. Participating partners include well-established hotel brands such as Conrad, Banyan Tree, Grand Hyatt, Dusit, The Chedi, Marriott and many more. Customers can choose between a printed book or the Entertainer App, which was launched last year. The Entertainer Malaysia 2015 includes up to RM200,000 worth of savings and customers who purchase before 31st December 2014 will receive a special discount through the website. The Entertainer Malaysia 2015 book currently costs RM125 and the Entertainer Malaysia 2015 mobile product costs just RM100. You can purchase the Entertainer 2015 products online on www.theentertainerasia.com or through the Entertainer App which is available for iOS, Android, Blackberry10 and Window phones.